Studying the history of early Quaker preaching, Michael Graves uses careful rhetorical analysis to provide insights into Quaker theology and practice. Situating the movement within the intellectual context of early seventeenth century Europe, he explores both seminal preachers and lesser known figures who were nonetheless important rhetoricians. Through extant sermons he demonstrates that the early Quakers could be a vocal, even "revivalistic," sect that sought to put into effect world-wide the moral, spiritual, and practical virtues of what they called "primitive Christianity." Thus, Graves challenges the stereotypes of the early movement and shows the denomination to be theologically innovative and socially important. 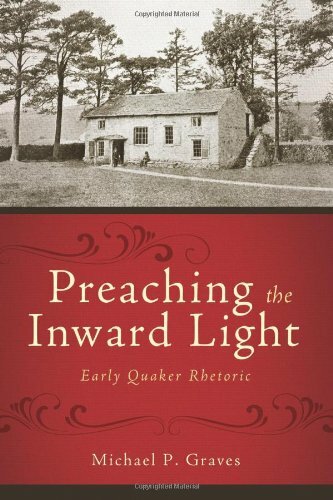 Well-researched and well-written, Preaching the Inward Light is a timely look backward to these spirited people. If you have any questions about this product by Baylor University Press, contact us by completing and submitting the form below. If you are looking for a specif part number, please include it with your message.